The Winter Soldier? Darth Vader? Nope, that’s just David Aguilar, a Spanish bioengineering student and Lego enthusiast. 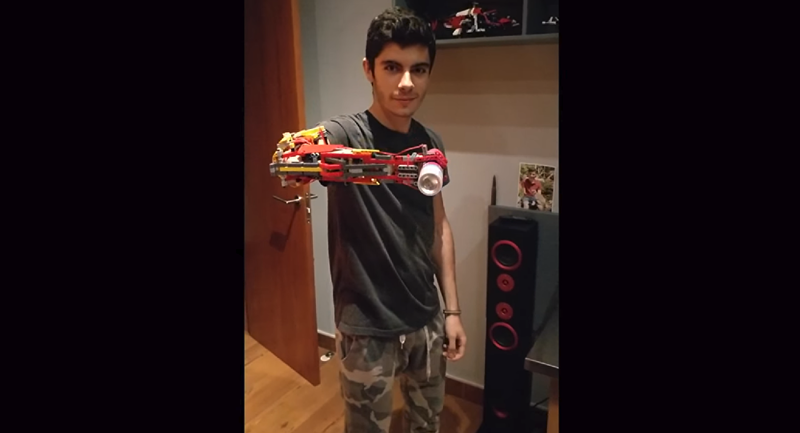 He built himself a working prosthetic arm and hand with the plastic toy bricks and posted a video of it in action. Born without a right forearm due to a rare genetic condition, Aguilar, 19, tapped into his love for building with Legos to construct for himself a full prosthetic arm that can extend, retract, pick things up and put things down using nothing but mechanisms leveraged by his body. "As a child I was very nervous to be in front of other guys, because I was different, but that didn't stop me believing in my dreams," Aguilar, who is from Andorra, a tiny principality between Spain and France, told Reuters. "I wanted to… see myself in the mirror like I see other guys, with two hands," he said. 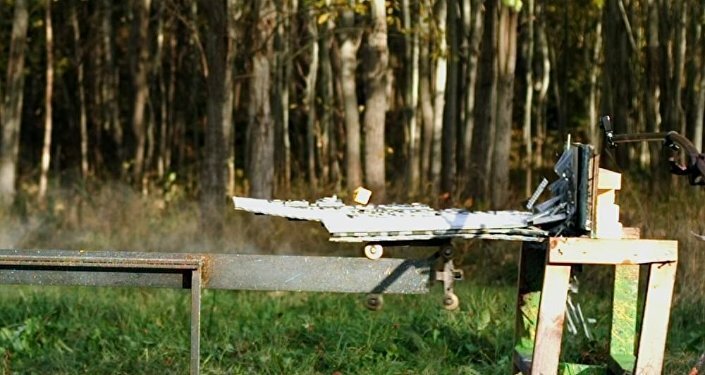 The present model, built using the parts of a Lego helicopter set, is actually his fourth Lego prosthetic; he built his first rudimentary artificial arm at the age of nine. He's named them Mark I-IV, after Marvel hero Tony Stark's various "Iron Man" suits, the Standard notes. Aguilar is now studying bioengineering at the Universitat Internacional de Catalunya, across the border in Spain, and says he wants to put his talent to use for the public good and build prosthetics for people for a living. "I would try to give them a prosthetic," he told Reuters, "even if it's for free, to make them feel like a normal person, because what is normal, right?" But Aguilar's engineering isn't the only scientific enterprise making use of Legos: a group of pediatric researchers, concerned about children who eat the plastic bricks, recently swallowed a bunch of them to see how long they take to pass through their system. "It's actually really common," Tessa Davis, an emergency pediatrician at Royal London Hospital in England, told Science News for Students. "We see at least one child a day swallowing something they shouldn't have." "We all swallowed one at the same time of day and then waited to see if it came out," she says of their Lego test. The scientists then searched through their stools to find out when the pieces came out. Turns out, it takes an average of 1.71 days, and no more than three, for a plastic brick or piece to pass through the digestive tract. "A toy object quickly passes through adult subjects with no complications," the authors wrote in their study, which was published in the Journal of Pediatrics and Child Health last November. "This will reassure parents, and the authors advocate that no parent should be expected to search through their child's faeces to prove object retrieval."